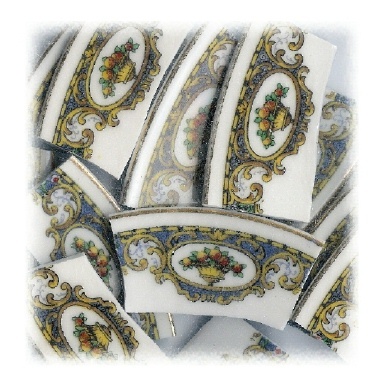 12 tiles from L Bernardaud Limoges china plates. Yellow & orange fruit, yellow urn, blue and gold accents, gold rim on white china. All rim tiles. Tiles average approximately 2.25" wide.